The last time Mr Tin Box and I visited Derbyshire was before we started our family – just! Tin Box Tot was ‘onboard’ and we spent a blissful five days roaming the breathtaking Peak District National Park, wandering through the historic market towns and taking luxurious pregnant pauses (literally) to watch the 2012 Olympics. It was super relaxed. Roll forward five years and we received an invite to review Darwin Forest County Park in the same area. I didn’t need asking twice! Our weekend at Darwin Forest near Matlock came on the back of a house move so couldn’t have come at a better time. Well, I say that, but during the seven hour journey to the Peak District from Devon the thought of piles of homeless trinkets scattered around our new house gave me a few pangs of guilt. But the bottom line was we needed a break. During the past month we’d spent far too much head space on legal papers and moving arrangements. Then there were the physical challenges of moving houses. As we had bought somewhere just seven minutes down the road from our old rental we decided to forgo a removal company and shift our gear with the help of friends. Lovely, lovely friends. By the time we pulled into the carefully manicured entrance of Darwin Forest Country Park we were burnt out. Check-in was fast and efficient, and came with a welcoming smile despite us arriving just 15 minutes from 8pm when reception closed. We were given a map of the country park and where we could find our pet-friendly Haddon Classic Vogue Spa lodge. What’s to do near Darwin Forest, Matlock? 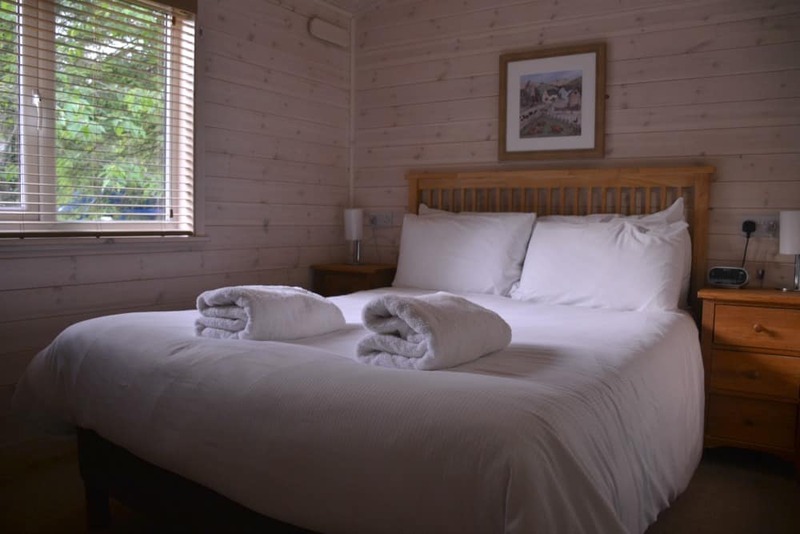 Our lodge had a double bedroom for Mr Tin Box and I, and a twin room for the girls. There was a family bathroom with a shower over the bath, an airing cupboard, and large L shaped kitchen-dining area and lounge with inviting tweed sofas. When we stepped through the door the faux log burner had been switched on to give the wood-clad living space a comfortable glow. I already felt relaxed. Even better, when we stepped out onto the decking we were greeted by a lush green forest view, speckled with hot pink Rhododendron, and, right in front of us, a steaming hot tub. Exhausted from our road-trip from the south west, we barely got the girls into bed before taking a dip. I don’t remember the last time I went to bed feeling quite so warm and fuzzy. 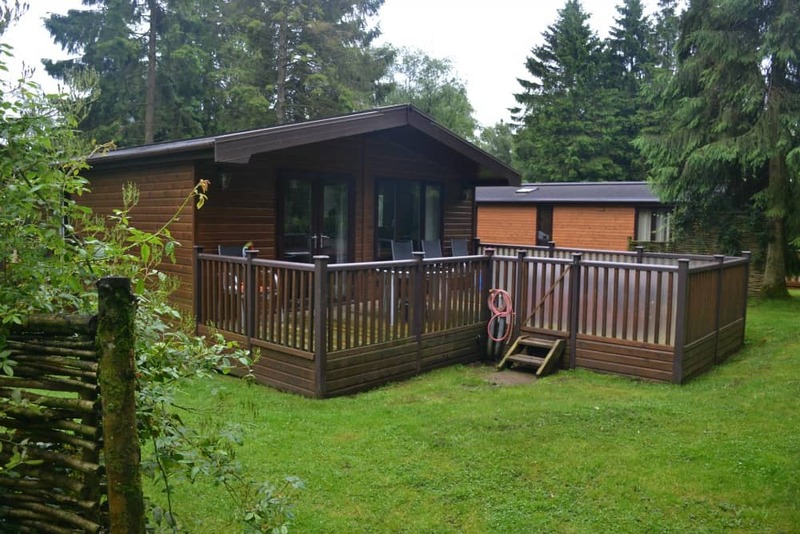 Our luxury spa lodge came with linen and towels, hair dryer, iron and ironing board, clothes dryer, patio furniture, stereo and freeview TV. In the bathroom there was a small selection of delicious smelling toiletries and in the kitchen we had a generous sized fridge-freezer, a dishwasher, toaster, kettle and all the cooking equipment we needed for our short break. There was also a welcome pack with washing up liquid,dishwasher tablets, a sponge, tea towel, and tea and coffee. I’d recommend bringing towels for the pool as there was only one bath towel provided per person. My only criticism of our Darwin Forest lodge cabin was that the dining table was a bit large for the space. It was a squeeze for us adults to sit between the table and the sofa backing onto the dining area. 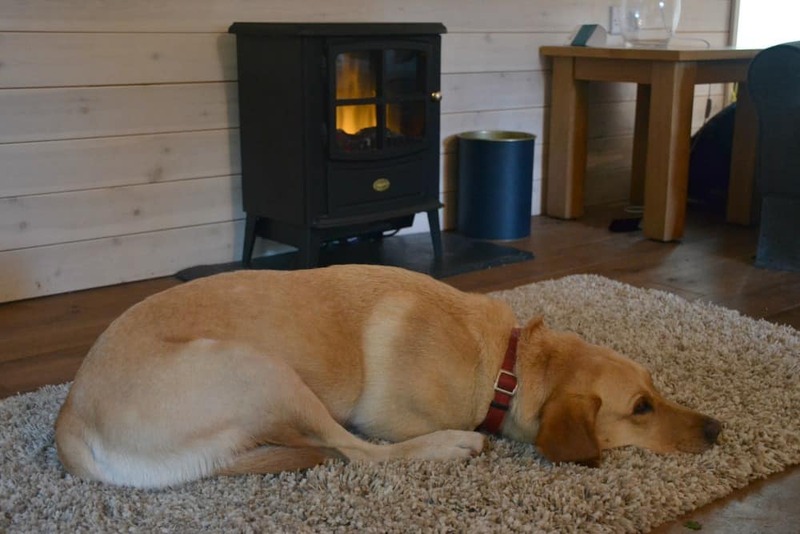 Otherwise, our lodge was a hit with the whole family – even Tin Box Dog who found a comfy spot in front of the fire. After floating around our hot tub I slept like a log. That was until the girls excitedly woke us up the next morning asking if they could have a splash in our ‘swimming pool’. You’re advised that hot tubs aren’t suitable for children under the age of four because they can’t regulate their own body temperature, so we compromised with a trip to the park’s modern leisure complex – Evolution. Evolution has a spotless pool with lanes, a toasty warm toddler area and free swimming space. The family changing area is fitted out with large rooms for those with children, plus lockers and free hair dryers. This is also where you can access the steam room and sauna with a key fob which costs extra for lodge residents. If we’d thought ahead and brought the grandparents I would have been in there like a shot. We got to the pool at about 9.30am which was the ideal time on a wet Saturday morning as it filled up fast. Definitely visit early on grey days as we found it got a bit crowed with more than five families when the lanes were set up for proper swimming. We emerged from the pool to more drizzle, so made a quick dash past the Foresters Bar & Restaurant to the Little Monkeys soft play centre. I know – it’s not how I had envisaged spending half a day on the edge of the Peak District National Park but our girls insisted. Little Monkeys turned out to be a pleasant surprise. It’s bright and airy with a sky light at the top of the play frame. The number of children and empty tables are monitored closely to ensure it isn’t packed out. There were even a couple of children’s parties while we were there – the only reason we noticed was because of announcements when their party food was ready. And our lunch of bacon and brie paninis, served with a generous salad and crisps, and children’s lunch boxes were of a particularly good quality. Dare I say it, I quite enjoyed this soft play! 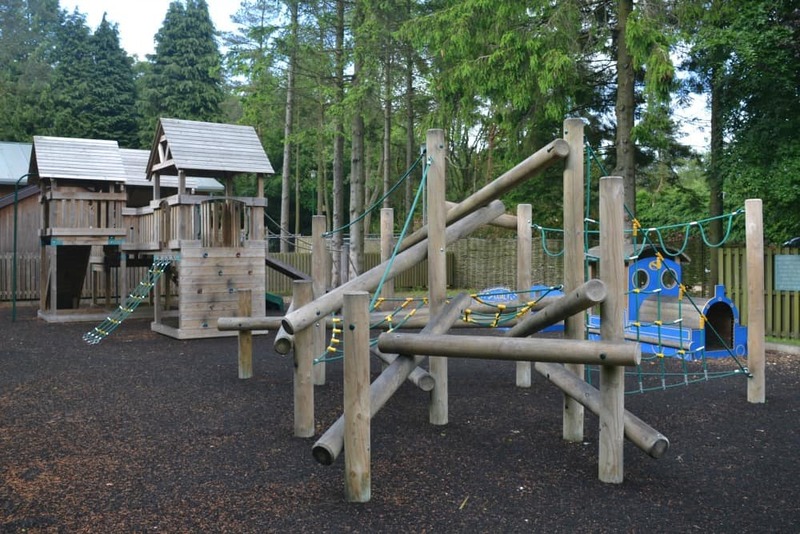 As well as Little Monkeys, which is open to the general public, there’s a smaller Activity Den for exclusive use of park residents with has a soft play for under five-year-olds, a pool room and arcade games. 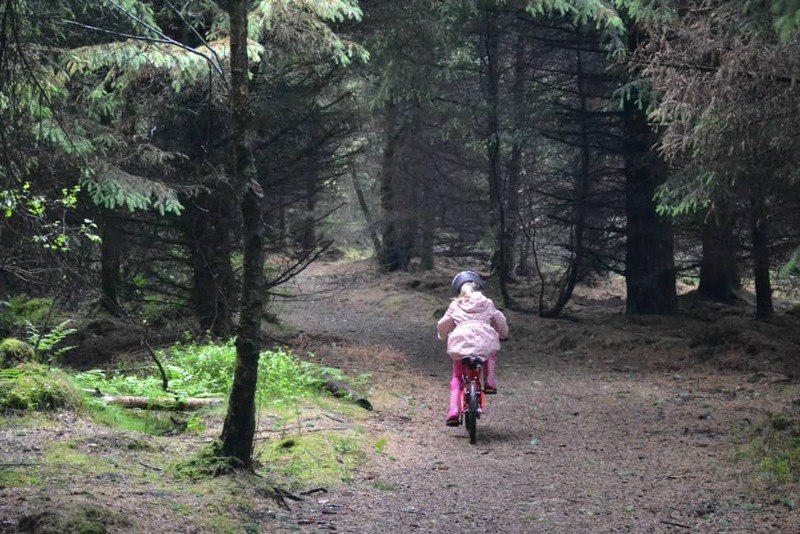 There’s also bike hire, an adventure playground, mini golf and activity trails in the forest. We spotted quite a few bunnies during our walks and Tin Box Tot loved riding her bike along the paths, which were a bit sticky thanks to the overnight rain. 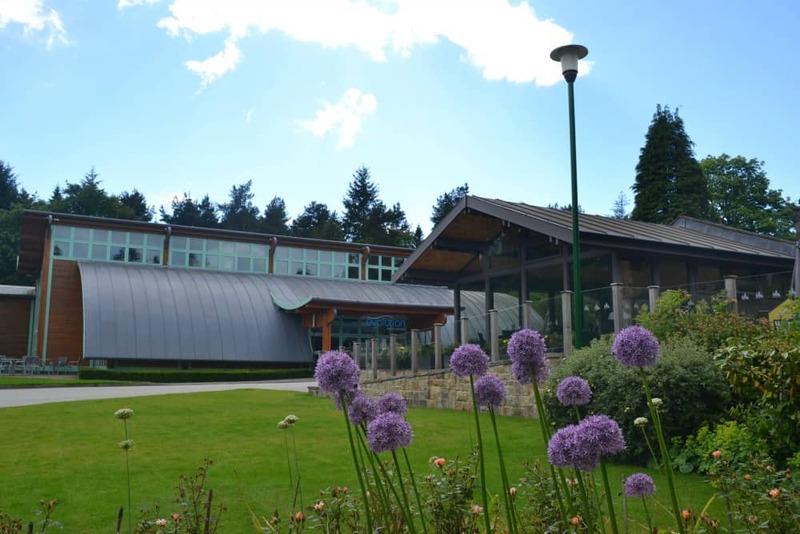 If you stay at Darwin Forest Country Park with older kids you’ll want to check out the range of fun activities available for an extra fee like tennis, archery, body zorbing, fencing and waterwalkerz in the pool. Book these before your stay to avoid disappointment. Darwin Forest has its own onsite shop where you can pick up plenty of cupboard staples, bits and pieces for cooked breakfasts and barbecues. There’s also toys, magazines and souvenirs. Just down the road in Matlock there’s a Sainsburys where you can do a bigger shop. If you don’t fancy cooking the Foresters Bar & Restaurant serves food between midday and 4pm and then 5pm and 9pm seven days a week. The menu is locally sourced and there’s children’s meals for young diners. If you are looking for a romanic dining experience the conservatory is reserved for adults only. Sadly we didn’t have time to try out this bistro-style pub but it looked like a great place to meet for a drink and a bite to eat after a day exploring. When we arrived we were given a print out about about events and activities happening in the area during our stay, which was really handy. You can also get discounted tickets for some attractions from the Darwin Forest reception. These include the Heights of Abraham hill top park and cablecar, Crich Tramway Village, which is the national tramway museum, and Matlock Farm Park. All are ideal for families with pre-school children like us. For those with older kids you might want to release your inner monkey at Go Ape! at Buxton Country Park or brave the thrill rides at Gulliver’s Theme Park. Or, one of my favourite things to do on holiday, explore a cave like the Treak Cliff Cavern, which is renowned for its large deposits of Blue John stone. If you enjoy wandering around picturesque towns then Matlock and Bakewell are both within 20 minutes drive of the country park. Beyond that, the dramatic landscape of the Peak District National Park is yours to enjoy. On the Sunday of our stay we decided to visit Harwick Hall – a National Trust property perched on top of a hill overlooking the Derbyshire countryside. It’s a lavish Elizabethan house built by one of England’s richest women of the day and has an extraordinary history to boot. More recently it has been used as a location for Harry Potter and the Deathly Hallows. I’ll be sharing more about our visit in another post soon. In one sentence: I wished we’d stayed more than three nights! 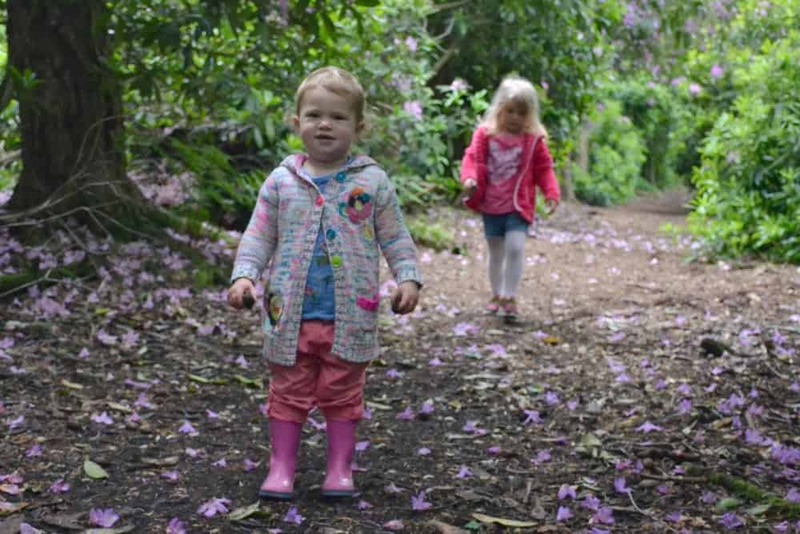 Darwin Forest is such a tranquil place for a family break. Waking up to lush, green surroundings and the sound of birds chirping in the trees was idyllic. The park is laid out in such a way that doesn’t feel like a traditional holiday park. There are lot of lodges – more than 120 in fact – but you don’t feel on top of each other. The facilities are brilliant and there’s so much to do in the local area. We could have easily filled a week making full use of the activities available on the park and exploring Derbyshire. I left feeling quite sad that we’d missed an opportunity to see more. Sit tight Darwin Forest; we’ll be back! 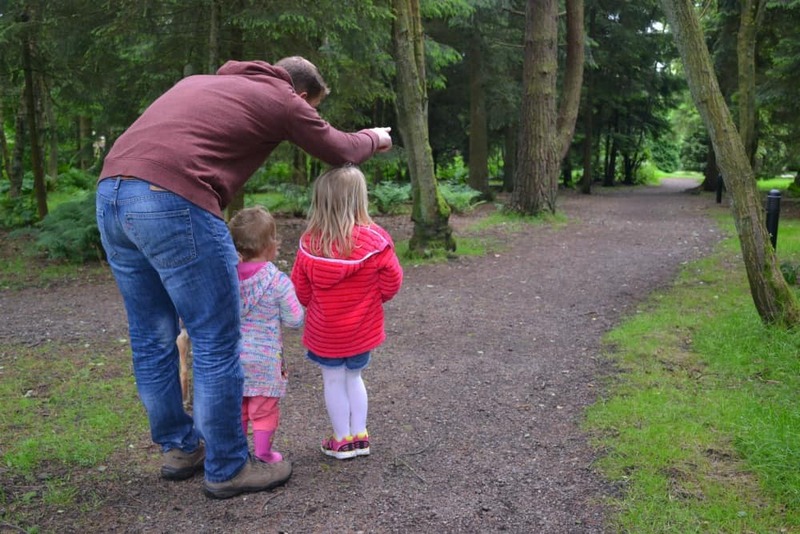 Disclosure: we were guests of Darwin Forest Country Park for the purposes of a review. All opinions are my own and those of my family. Evolution swimming pool picture supplied by Darwin Forest. Oh it looks gorgeous Claire – I LOVE a lodge with a hot tub and it really is a real treat. The play area looks fab for kids too. It’s a great site. It’s a long time since I’ve been in a hot tun and I loved every moment! This looks like a lovely little oasis from the craziness of your house move! 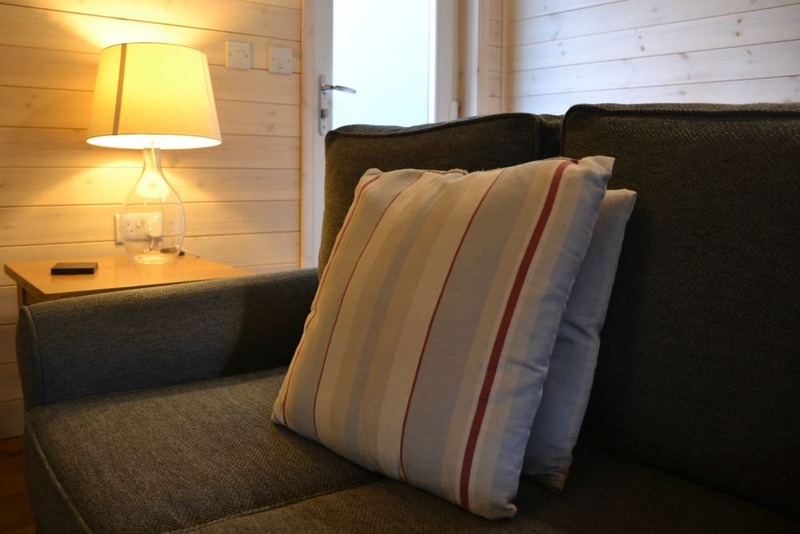 I love that it’s pet friendly too – we go to so many places that won’t allow our fur babies so it’s lovely to hear of somewhere accommodating. That hot tub looks amazing too! I know what you mean about finding pet-friendly places to stay with a touch of luxury. It’s tough! We’re gradually discovering a few. I have a blog post in mind to share some of our favourite dog bolt holes 🙂 Watch this space! I love staycations and this looks perfect for little ones! Wandermust mummy recently posted…Eat sleep breathe Rome – the not to miss on a lux family trip to Rome the eternal city! looks like a beautiful modern rustic cottage. Love the beams in the pool area – very cool. As is the adventure playground for the littlies. Looks like a beautiful place to stay!! I would so love to stay in a place with my very own hot tub! Sounds like they have pretty cool activities for the whole family, too! It was – we loved it! Three days was certainly not enough time to make the most of the facilities and the area. The sound of nature was fab though! I’ve heard a lot of good things about Darwin Forest. Its location sounds perfect and I love the look of the swimming pool complex. We had a wonderful week in Derbyshire some years ago and were amazed at how much there was to do in the area. We didn’t have a hot tub though! Trish @ Mum’s Gone To recently posted…A Holbeach man, born and bred. Darwin Forest looks fab! It looks like you guys had a great time. And you actually enjoyed a soft play?! It must be a good one. It’s lovely, glad you found the post useful! OMG love the forest pictures! It looks like a lovely place and you can tell that even the dog is relaxed. Looks fabulous and now i’ll have to search for something similar in the US that allows pups! It is a bit of a dog-friendly gem here. Fingers-crossed you find something that’s pup friendly near you! The pool was a lovely space and there was so much for kids to do on site. We could have easily filled out days without going further! Yes, it’s a slightly different Darwin to the one you initially thought of 🙂 We really enjoyed our revisit and want to make another trip as soon as we can! 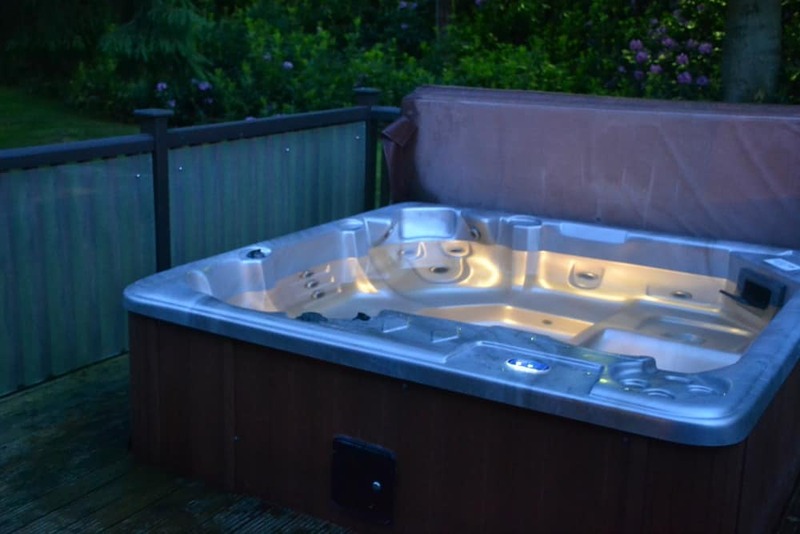 I think we all need a hot tub in our lives…although Mr TB won’t let me put on in our garden 🙂 Thank you Ruth! It looks gorgeous – the hot tub makes it even more special. It’s great to find somewhere so lovely that is dog friendly too. They do sound very similar. I love the sound of the sauna! Very nice lodge you got!! It was really good, especially for dog-friendly accommodation. We wouldn’t have known other pets had stayed there. It was a beautiful place, and very peaceful. We loved having Tin Box Dg with us too! It’s beautifully maintained and the facilities were great. Perfect for a slightly damp weekend and still lots to do outdoors!